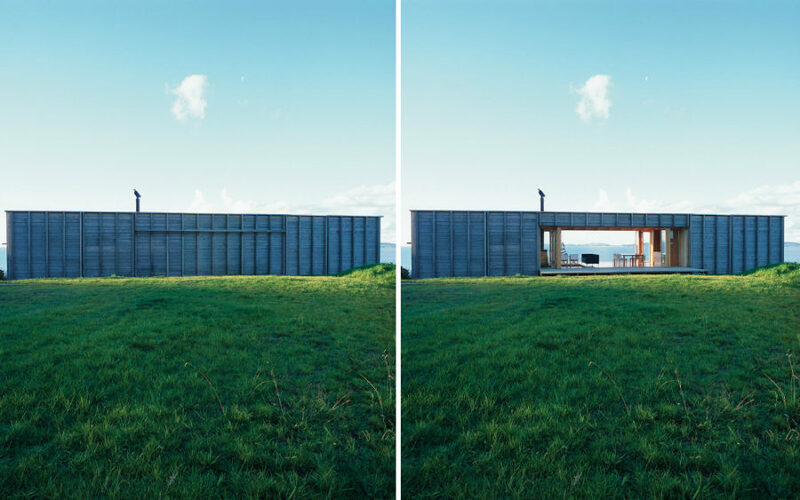 Retractable walls are a great architectural solution to space problems and more. There are so many ways to use them you, might as well create your own transforming smart house of the future with just a couple of those. Architects and designers often face various issues and challenges that have to do with difficult layouts, lack of space, and clients’ various wants and needs. Retractable walls are great at solving a lot of them. In small spaces retractable walls help create private spaces as well as allowing for open layouts that visually enhance interiors. In big houses the moving walls can marry indoors and outdoors blurring the line between the comfort of a habitat and closeness of nature. 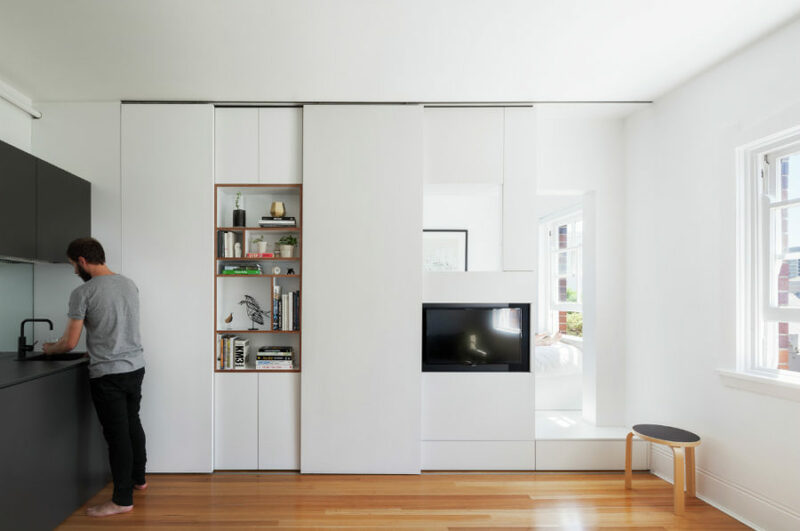 Designed by Brad Swartz Architect the Darlinghurst Apartment features a retractable wall that separates the kitchen/living area from bedroom. Thanks to its moving parts it can also open and disguise a TV and a spacious storage system housing wine and food. Millennium Residence by JSA Projects Architect makes use of a reflective retractable wall to disguise a sink. Thanks to it and a backlit house’s core the space looks open and spacious. 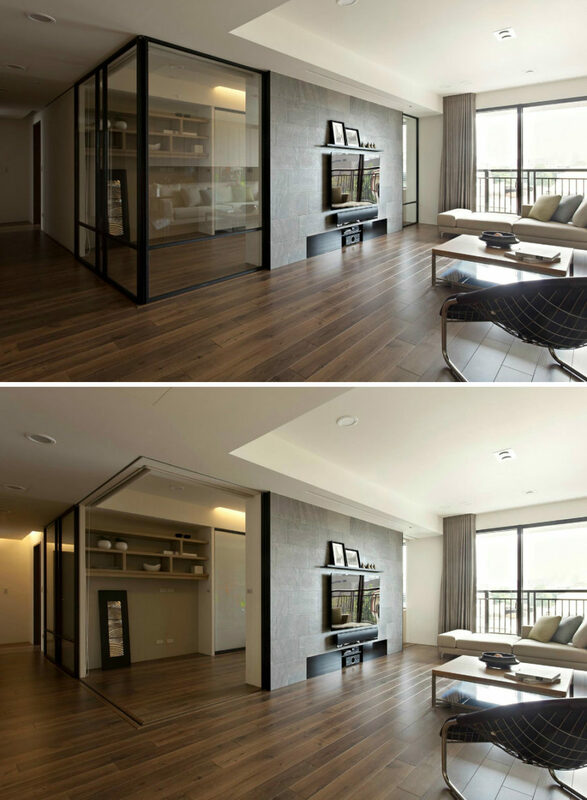 A mirrored retractable wall is a great idea for visually enhancing your living space regardless of room’s purpose. In many modern open layout homes kitchens are out there for everyone to see. 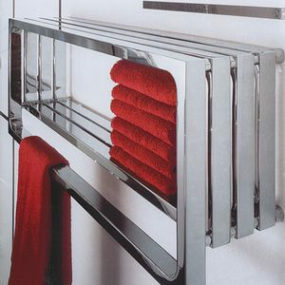 But retractable walls can hide them in a clever stylish way instantly making the living space look polished and clean. This beauty of a kitchen is just one example of a hidden cook room. Red and white color scheme takes the look to a whole new level, though. This hidden kitchen design from Molteni&C Dada disguises the retractable walls as kitchen cabinets. The kitchen itself looks like it was built into a wall, which is a great idea for this kind of design. In fact with this niche sort of construction you can disguise any furniture as walls or wardrobe or even create a hidden room. 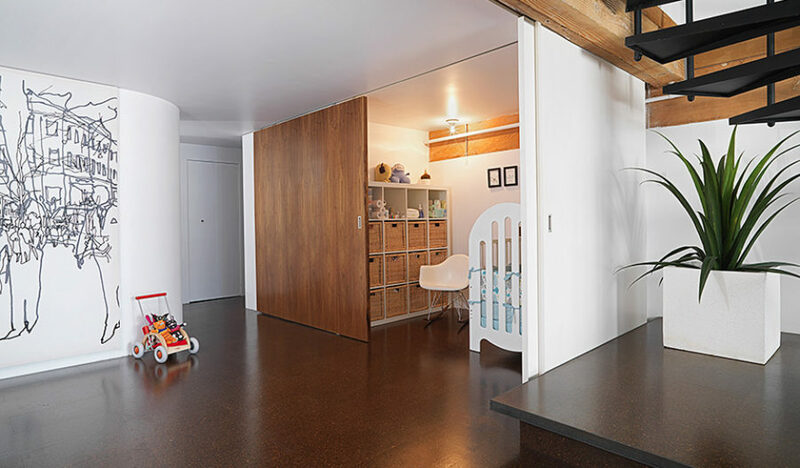 This loft in Vancouver makes a case for a retractable wall for the nursery. The small room may not only be separated from the rest of the house with a single wall, there is also another one that cuts it off from other public spaces. As the baby grows the nursery can be easily transformed into a storage or a laundry room. Campos Leckie ensures a boxy room looks cozy with a sliding natural wood wall and matching cube storage baskets. 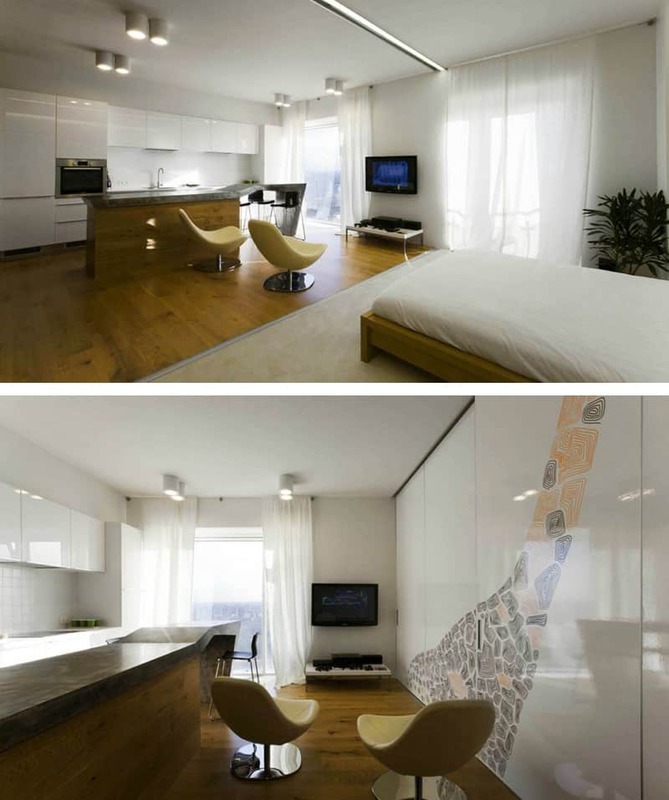 Za Bor Architects equipped this breezy apartment with moving walls that don’t just separate the kitchen and living area from bedroom but also act as a canvas for art. As a result there can either be two separate rooms or one big area with an open layout. This is especially useful when one of the residents is trying to rest while the others are awake. 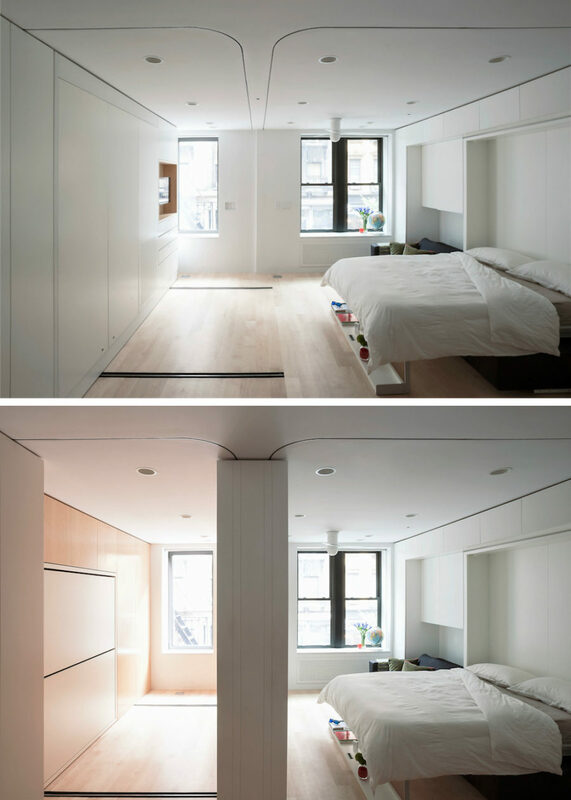 Here is another example of using retractable walls in apartment design. Created by Fertility Design the room features glazed walls that retract into adjacent walls and open up the space in the living room. When the walls go back up, however, they create a second separate room in case it require some privacy and peace. 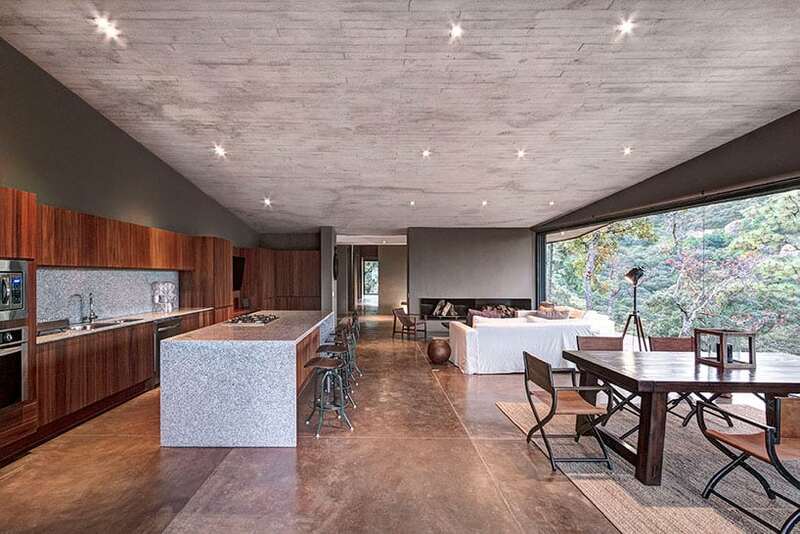 Dr. Reginaldo Spenciere House by AUZprojekt is enveloped in concrete and clad in wood. The interior has an open layout, which can quickly turn into sectioned private spaces thanks to a retractable wall. A sliding partition can quickly divide space without doing so permanently or even making too many changes in a house floor plan. This wall cuts off different parts of the house, which creates different sized rooms whenever necessary. 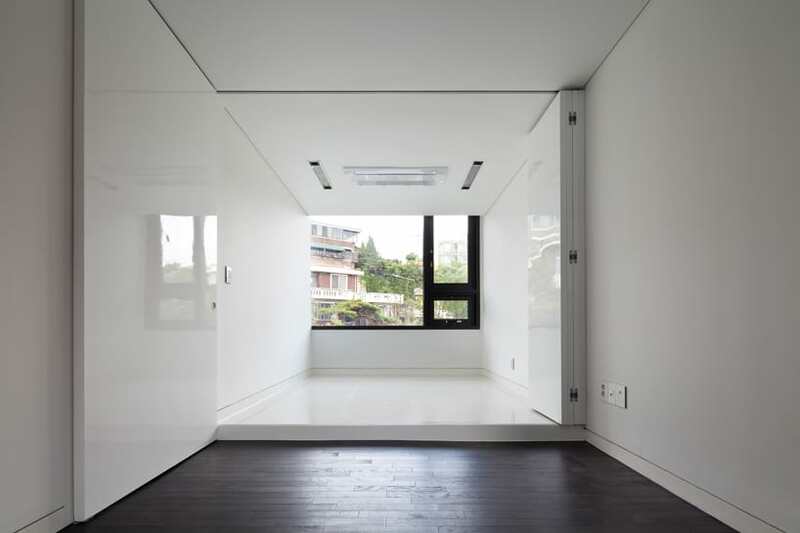 H House in Seoul by Bang by Min also has retractable walls in its complex interior architecture. The room with such walls can be merged with the rest of the space or used separately. Looking like regular walls they can be easily used to hide any storage spaces that you wouldn’t want to show off. Retractable walls don’t have to blend with the rest of the interior. 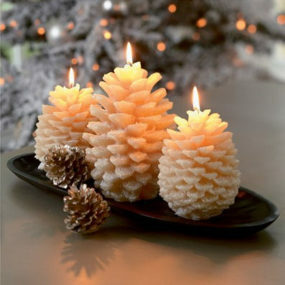 You can intentionally make them as bright or decorative as you like. Many wall partitions come in intricate laser-cut patterns, textures, and colors. So why not make moving walls as fun? 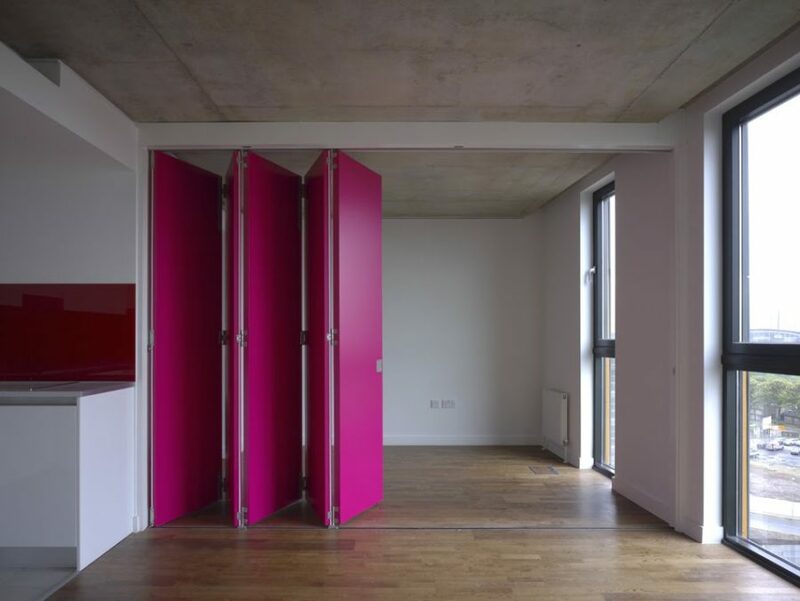 This magenta retractable wall is a great example of how you can show off your moving wall. 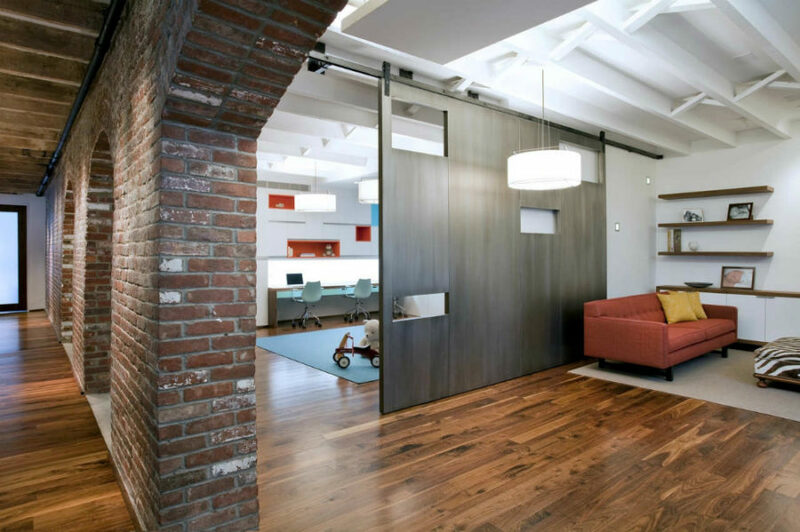 A+I Design Corp show how you can use a barn door system to create a retractable wall in their TriBeCa Loft Residence. This wall separates a home office from the rest of the living space, but features openings to create some visual communication between spaces. Life Edited Apartment by Adrian Iancu has a unique design. Making use of retractable walls it can transform a living space into personal spaces and vice versa. Thanks to its clever design there are quite a few options possible in the apartment’s layout. Micro living presents a whole new set of challenges when it comes to layout and design. Here is where retractable walls can work their magic and create space out of thin air. 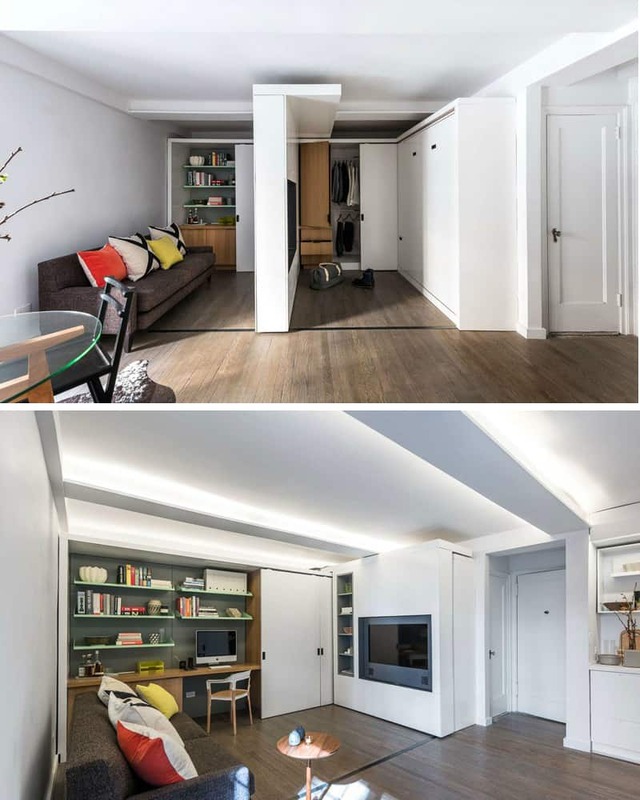 This micro apartment in New York is just 390 square feet (36 sq m). Designed by MKCA it has a home office, a wardrobe, a kitchen, and a living room. Where’s the bedroom? Well, there is none, if we’re talking about a separate room, but when a TV wall slides out there is some space for a Murphy bed. Smart! Retractable exterior walls are great for hiding the more open interior structures. This Linear House by Patkau Architects makes a case for rotating moving walls that when open still offer some degree of privacy. This is also a solid insulating solution for windy locations or warm climates that sometimes have chilly temperatures. 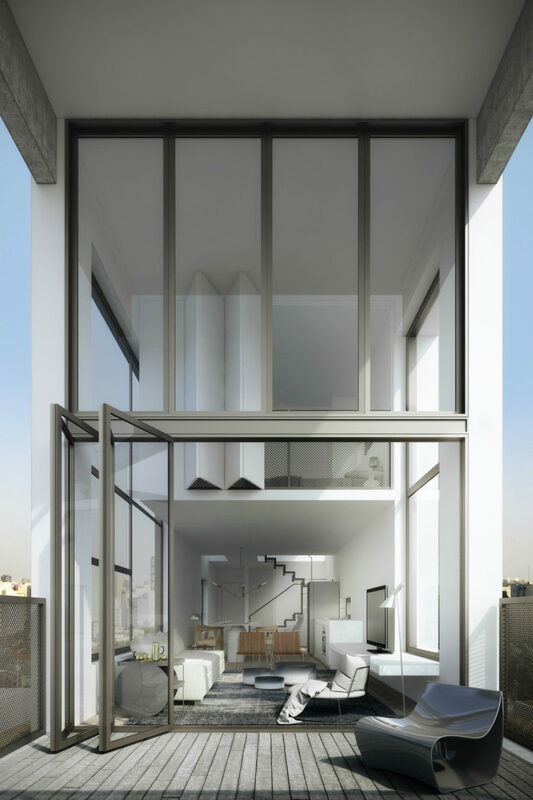 This is a loft in Sao Paulo‘s upper middle class neighbourhood Vila Madalena. Located in a sky-high building the two-storey dwelling has an interesting feature. There is a folding retractable wall on the second floor that opens to a glass facade, which in turn comprises a retractable wall of its own. This creates an interesting dynamic in the interior where residents can regulate the amount of light and privacy by simply moving the walls. It seems at this rate the retractable walls will replace windows, at least on the ground level. 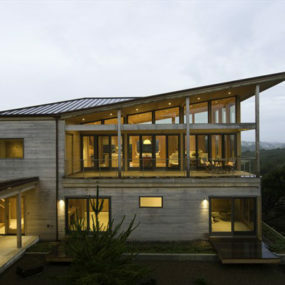 Casa GG is full of retractable walls. Elias Rizo Arquitectos designed the two bedroom house that sits in a beautiful natural spot, so as to allow both visual and physical access to the outdoors via all the retractable glass walls. Thanks to such transparency the kitchen/living/dining area enjoys bustling greenery that indirectly becomes a decoration for the modest interiors. 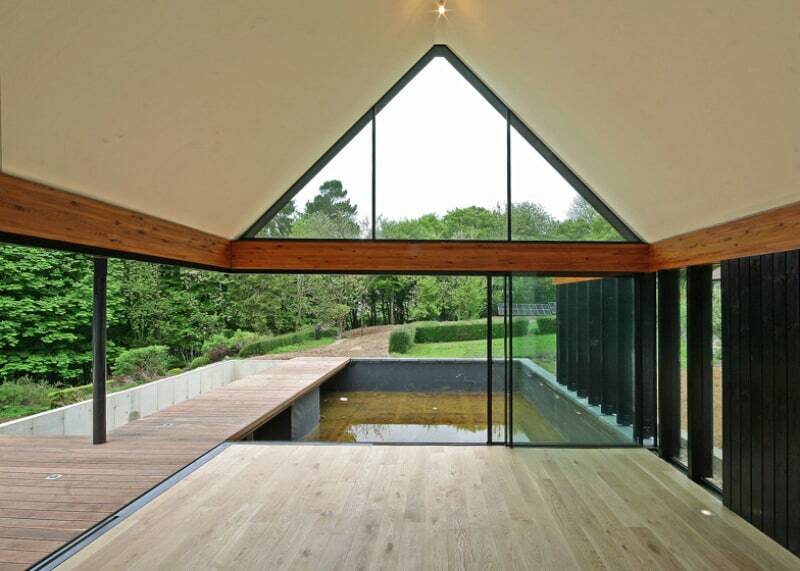 This stylish extension designed by Duncan Foster Architects opens an old house to the beautiful green landscapes. Made of glass it connects the indoor and outdoor spaces even when closed. The pool built into the floor level terrace is a fitting continuation for the extension providing it with both aesthetic and function. 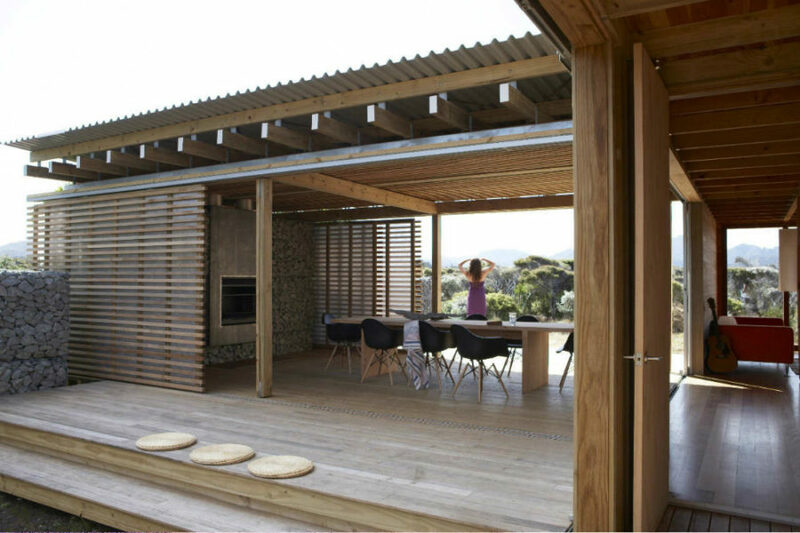 This Great Barrier Island residence by Herbstarchitects features the best kind of walls you’d want in a beach house – screen walls. The retractable screens allow to regulate not only privacy but also the amount of salty ocean breeze blowing through your living areas. The wooden exterior works well with it. Of course, there are many advantages to glass, but wooden screens have an undeniable charm. Besides if you’re going to keep the retractable walls open, things like sand and insects will still get through. 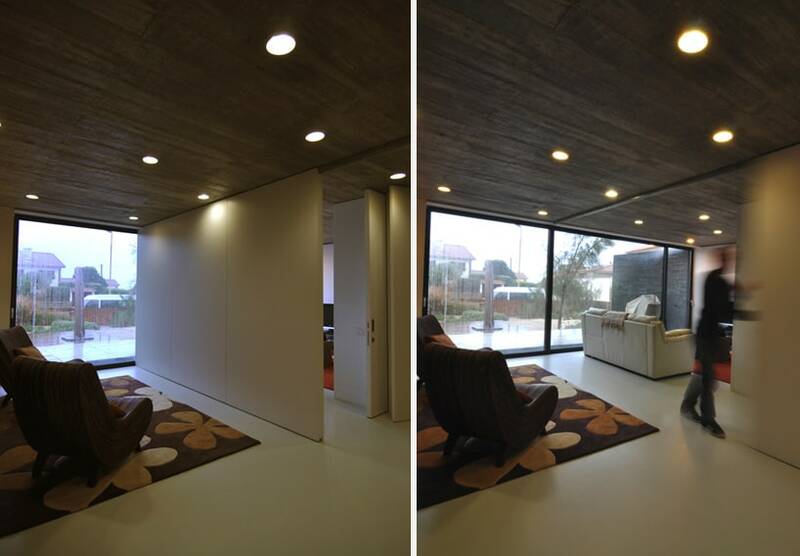 Retractable wall partitions are a very popular option if you want to create a wall without a hassle. They are often transparent, easy to operate, and can truly act as walls protecting from the less pleasant aspects of the outdoors. They can also be used inside the house to create some barrier between rooms. XTEN Architecture used them to create an indoor/outdoor feel between a courtyard and a dining room in a residence in La Quinta. In Taslimi Residence by Fleetwood Fernandez Architects the idea was to open up an angle with a kitchen to marry the indoors and outdoors. This is a great design solution for those who don’t want to build an outdoor kitchen and kill two birds with one stone. Glass House by Nico Van Der Meulen Architects is truly a masterpiece. 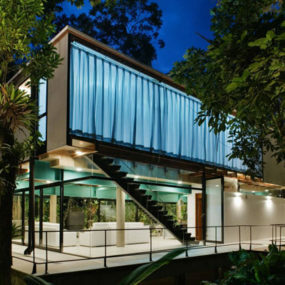 But we are especially interested in its glass retractable walls that open the space up to a manicured courtyard. There is an interesting dynamic going on. The dining area outside is partially covered by the roof and the retracted walls break the barrier between indoors and outdoors. Mixing up the interior and outdoor areas it’s difficult to decide which area is which. 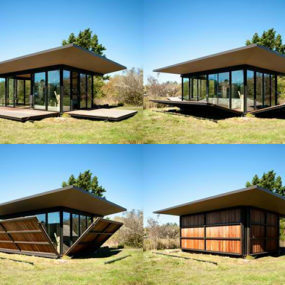 Chicken Point Cabin impresses with its retractable facade wall. 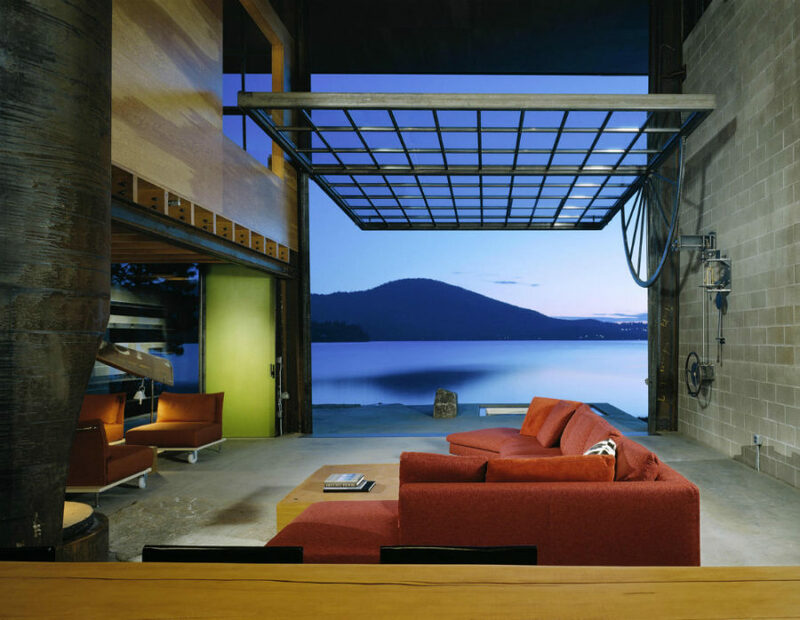 When in place it looks like a modern window pane, but when it retracts it opens up a whole new world of outdoor beauty. Its manual mechanism is exposed and makes for an incredible interior accent. Retractable walls come in all kinds of materials and forms. 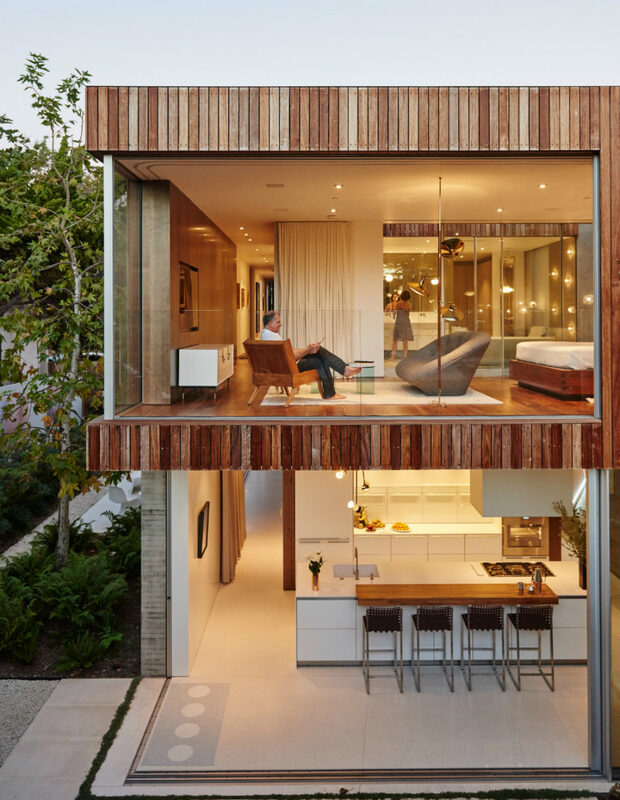 Here Crosson Architects decided to make them an integral part of a house structure. 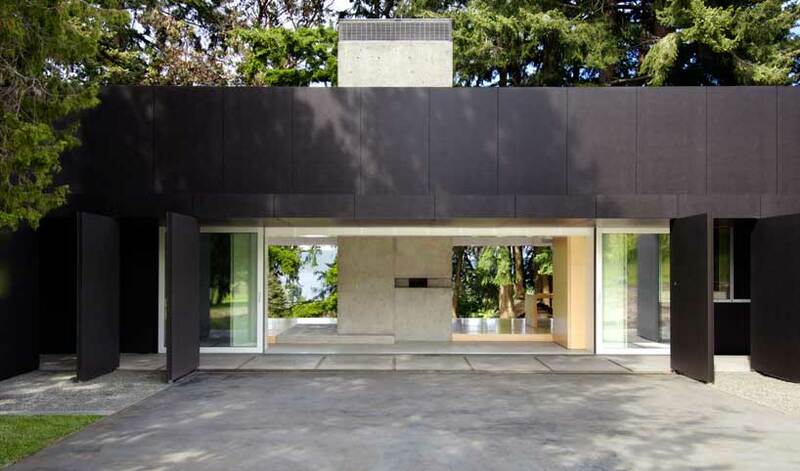 They double as entrance, but since they open from both sides, they offer different perspectives on the outdoors. 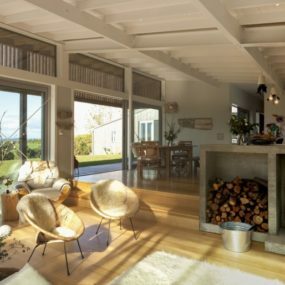 Whether you lack space or not, retractable walls can serve so many purposes – hiding an ugly TV, disguising a kitchen or simply allowing you to play with the room’s layout. Made of glass, wood, or plastic they can also work by different principles. Some are rotating, others are sliding, and yet others are simply opening backward and forward as regular doors.